The Charles Perkins Centre (CPC) is an Australian medical research institute, clinic and education hub that primarily focuses on diabetes, cardiovascular disease and obesity, as well as other related conditions. The Centre is affiliated with the University of Sydney and is located within the Royal Prince Alfred Hospital health precinct at the Camperdown campus of the university in Sydney, New South Wales. The Centre is named in honour of alumnus Charles Perkins, the first man of Aboriginal descent to graduate from an Australian university. The Centre's academic director is Professor Stephen Simpson AC, FRS, FAA. Designed by Francis-Jones Morehen Thorp with Building Studio, construction of the 49,500 square metres (533,000 sq ft) A$385 million Centre began in 2012 and was officially opened in June 2014. The centre was shortlisted for the World's Best Building award in the Higher Education and Research category at the 2015 World Architecture Festival. Many professorial chairs at the Centre were funded by the $20.6 million sale of a Picasso painting at Christie's, which was donated to the University in 2010. Obesity, diabetes and cardiovascular disease are the leading causes of death, disability and reduced quality of life in Australia. They are also considered epidemics globally. Charles Perkins was one of Australia's most prominent Aboriginal activists. Born in 1936 to an Arrernte woman and a Kalkadoon man in Alice Springs, Northern Territory, Perkins graduated from the University of Sydney with a Bachelor of Arts in 1966. Prior to this, he worked for an Adelaide fitter and turner company and had also worked for the City of South Sydney, cleaning public toilets. Perkins was a key member of the Freedom Ride, a bus tour through New South Wales protesting small-town discrimination of Aboriginal people. The action was inspired by the American Civil Rights Freedom Ride campaign in 1961 which travelled from Washington D.C. to New Orleans. In 1969 Perkins began his career as a public servant as a Senior Research Officer with the Office of Aboriginal Affairs. In 1972, as a public servant, he was suspended for alleged improper conduct after he described the Liberal and the Country Coalition government in Western Australia as being "racist and redneck". He later became the first Aboriginal to become appointed as the Permanent Secretary of the Department of Aboriginal Affairs in 1981. He was a strident critic of the Australian Government and their policies. Perkins also had a career as a soccer player, serving as president for the National Soccer League team Canberra City in the Australian Capital Territory. He died in 2000 from renal failure and is survived by a large family, with two daughters and a son. During the 1970s Perkins had a kidney transplant and at the time of his death was the longest post-transplant survivor in Australia. In 2010 the University of Sydney received a rarely seen Pablo Picasso painting from the private collection of an anonymous donor. The painting, Jeune Fille Endormie, which had never been publicly seen since 1939, depicts the artist's lover, Marie-Thérèse Walter and was donated on the strict understanding that it would be sold and the proceeds directed to medical research. In June 2011, the painting was auctioned at Christie's in London and sold for £13.5 million ($20.6 million AUD). The proceeds of the sale funded the establishment of many endowed professorial chairs at the yet to be established Centre. Construction began in late 2012. It was built on a budget of $385 million. Perkins serves as the symbolic face of the centre, aimed at researching and finding solutions to various illnesses, with over 900 clinicians, students and researchers. Professor Steve Simpson said that "He [Perkins] sought to lead collaborations in situations where a single person or agency could not deliver. In the same way, the Charles Perkins Centre looks beyond traditional disciplinary boundaries to improve the health of individuals, communities and the nation". Perkins' wife, Eileen and their daughters Hetti, Rachel and son Adam attended the black-tie opening of the building in June 2014 at which artists including Megan Washington, the Ltyentye Apurte Dance Group and students from the Sydney Conservatorium of Music performed. The building has 49,500 square metres (533,000 sq ft) of floor space and is six storeys tall with four basement levels. The centre can house 950 researchers and 1400 students, with both wet and dry laboratory spaces. The ground and basement levels contain clinical facilities in affiliation with the Royal Prince Alfred Hospital. The full-height interior atrium is reminiscent of the atrium inside the Guggenheim Museum in New York City. Having been called the "skeletal system of the building", the atrium features curved balconies and interconnecting sweeping stair cases, serving as the structural expression of the building's purpose. It is the most prominent and noticeable feature of the centre's interior. The curving atrium was designed by architects Francis-Jones Morehen Thorp who collaborated with the Cubic Group responsible for the fabrication and installation of the primary atrium elements. Additionally, it features a bank of glazed elevators common in atrium-style buildings. The northern facade of the building was designed in sandstone, reflecting the Gothic architecture of the nearby St John's College. The main southern exterior, which looks out onto the Centenary Institute, was designed primarily in glass and aluminium. The building features a large high-tech teaching "X-Lab", capable of hosting 8 different practical classes concurrently, multipurpose teaching spaces, microscopy teaching labs, study pods, a 360-seat auditorium and a café. Clinical facilities include a whole-body calorimeter, metabolic kitchen, exercise physiology gymnasiums, physical testing facilities, phlebotomy bays, biobank, clinical and pre-clinical imaging facilities including one of the world's only 7T and 4T MRI's, CT, X-ray and ultrasound; long-term stay beds, wet and dry research labs and more. Research facilities include 7 open-plan laboratories with adjacent open-plan office spaces and associated support rooms, capable of each hosting 10 research groups, an animal house facility, and core facilities in cellular imaging and super-resolution microscopy, pre-clinical and clinical imaging, cytometry, genomics and proteomics. ^ "2015 NSW Architecture Awards shortlist". www.architectureau.com. 8 May 2015. Retrieved 25 May 2015. ^ "About Overweight and Obesity". Department of Health and Ageing. Archived from the original on 7 May 2010. ^ "Hetty Perkins discusses kidney research fundraising". PM. ABC Radio. Retrieved 2009-10-08. ^ "Sydney University's Charles Perkins Centre a world first for collaboration". The Sydney Morning Herald. 6 June 2014. Retrieved 26 March 2015. ^ "Charles Perkins Centre, Sydney". www.fjmt.com.au. Retrieved 25 May 2015. ^ "The Charles Perkins Centre Sydney". cubicgroup.biz. Retrieved 26 March 2015. ^ "Building starts on the Charles Perkins Centre". www.architectureau.com. 24 March 2012. Retrieved 26 March 2015. ^ "Students wowed by new X-lab in Charles Perkins Centre". 6 March 2014. Retrieved 26 March 2015. Pablo Ruiz y Picasso, known as Pablo Picasso, was a Spanish painter, printmaker, stage designer and playwright who spent most of his adult life in France. Picasso demonstrated extraordinary artistic talent in his years, painting in a naturalistic manner through his childhood. During the first decade of the 20th century, his style changed as he experimented with different theories, Picassos work is often categorized into periods. Much of Picassos work of the late 1910s and early 1920s is in a neoclassical style and his work often combines elements of his earlier styles. Ruiz y Picasso were included for his father and mother, born in the city of Málaga in the Andalusian region of Spain, he was the first child of Don José Ruiz y Blasco and María Picasso y López. His mother was of one quarter Italian descent, from the territory of Genoa, though baptized a Catholic, Picasso would on become an atheist. Picassos family was of middle-class background and his father was a painter who specialized in naturalistic depictions of birds and other game. For most of his life Ruiz was a professor of art at the School of Crafts, Picasso showed a passion and a skill for drawing from an early age. According to his mother, his first words were piz, piz, a shortening of lápiz, from the age of seven, Picasso received formal artistic training from his father in figure drawing and oil painting. Ruiz was an academic artist and instructor, who believed that proper training required disciplined copying of the masters. His son became preoccupied with art to the detriment of his classwork, the family moved to A Coruña in 1891, where his father became a professor at the School of Fine Arts. On one occasion, the father found his son painting over his sketch of a pigeon. In 1895, Picasso was traumatized when his sister, Conchita. 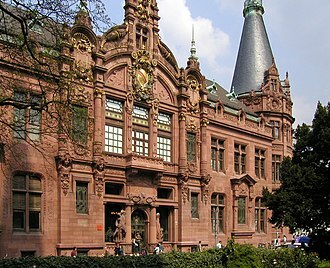 After her death, the moved to Barcelona, where Ruiz took a position at its School of Fine Arts. 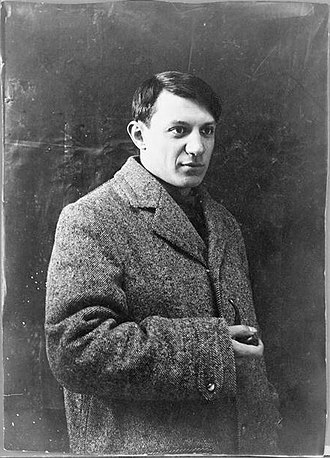 Picasso thrived in the city, regarding it in times of sadness or nostalgia as his true home, Ruiz persuaded the officials at the academy to allow his son to take an entrance exam for the advanced class. As of 2016, there are around 1600 living Fellows and Honorary Members. Fellowship of the Royal Society has been described by The Guardian newspaper as “the equivalent of a lifetime achievement Oscar” with several institutions celebrating their announcement each year. Up to 60 new Fellows and foreign members are elected annually usually in May, each candidate is considered on their merits and can be proposed from any sector of the scientific community. Fellows are elected for life on the basis of excellence in science and are entitled to use the post-nominal letters FRS, see Category, Fellows of the Royal Society and Category, Female Fellows of the Royal Society. Every year, Fellows elect up to ten new Foreign Members, like Fellows, Foreign Members are elected for life through peer review on the basis of excellence in science. As of 2016 there are around 165 Foreign Members, who are entitled to use the post-nominal ForMemRS, see Category, Foreign Members of the Royal Society. Honorary Fellows include Bill Bryson, Melvyn Bragg, Robin Saxby, David Sainsbury, Baron Sainsbury of Turville, Honorary Fellows are entitled to use the post nominal letters HonFRS. Others including John Maddox, Patrick Moore and Lisa Jardine were elected as honorary fellows, statute 12 is a legacy mechanism for electing members before official honorary membership existed in 1997. Fellows elected under statute 12 include David Attenborough and John Palmer, prime Ministers of the United Kingdom such as Margaret Thatcher, Neville Chamberlain, H. H. Asquith were elected under statute 12, see Category, Fellows of the Royal Society. The Council of the Royal Society can recommend members of the British Royal Family for election as Royal Fellows of the Royal Society. As of 2016 there are five royal fellows, Prince of Wales, Princess Royal, Prince Edward, Duke of Kent, Prince William, Duke of Cambridge and Prince Andrew, Duke of York. Her Majesty the Queen, Elizabeth II is not a Royal Fellow, Prince Philip, Duke of Edinburgh was elected under statute 12, not as a Royal Fellow. The election of new fellows is announced annually in May, after their nomination, each candidate for Fellowship or Foreign Membership is nominated by two Fellows of the Royal Society, who sign a certificate of proposal. The Government of the Commonwealth of Australia is the government of the Commonwealth of Australia, a federal parliamentary constitutional monarchy. The Commonwealth of Australia was formed in 1901 as a result of an agreement among six self-governing British colonies, the terms of this contract are embodied in the Australian Constitution, which was drawn up at a Constitutional Convention and ratified by the people of the colonies at referendums. 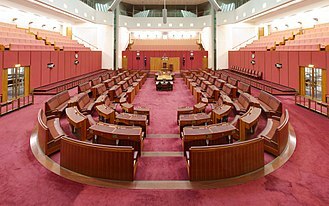 Separation of powers is implied by the structure of the Constitution, the Australian system of government combines elements of the Westminster and Washington systems with unique Australian characteristics, and has been characterised as a Washminster mutation. Section 51 of the Constitution provides for the Commonwealth Governments legislative powers and allocates certain powers, all remaining responsibilities are retained by the six States. 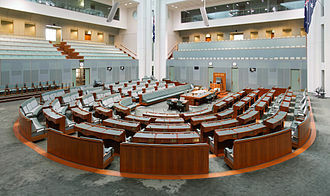 Further, each State has its own constitution, so that Australia has seven sovereign Parliaments, the High Court of Australia arbitrates on any disputes which arise between the Commonwealth and the States, or among the States, concerning their respective functions. The Commonwealth Parliament can propose changes to the Constitution, the Commonwealth Constitution provides that the States can agree to refer any of their powers to the Commonwealth. This may be achieved by way of an amendment to the Constitution via referendum, more commonly powers may be transferred by passing other acts of legislation which authorise the transfer and such acts require the legislative agreement of all the state governments involved. This transfer legislation may have a clause, a legislative provision that nullifies the transfer of power after a specified period. In addition, Australia has several territories, two of which are self-governing, the Australian Capital Territory and the Northern Territory, Australian citizens in these territories are represented by members of both houses of the Commonwealth Parliament. The territory of Norfolk Island was self-governing from 1979 until 2016, the other territories that are regularly inhabited—Jervis Bay, Christmas Island and the Cocos Islands—have never been self-governing. 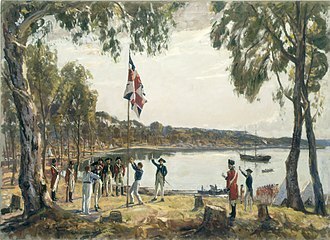 The federal nature of the Commonwealth and the structure of the Parliament of Australia were the subject of protracted negotiations among the colonies during the drafting of the Constitution, the House of Representatives is elected on a basis that reflects the differing populations of the States. Thus New South Wales has 48 members while Tasmania has only five, but the Senate is elected on a basis of equality among the States, all States elect 12 Senators, regardless of population. 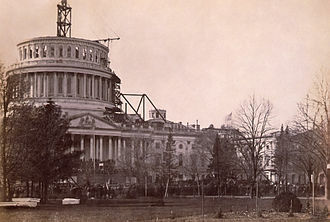 This was intended to allow the Senators of the smaller States to form a majority, the ACT and the NT each elect two Senators. The third level of government after Commonwealth and State/Territory is Local government, in the form of shires, the Councils of these areas are composed of elected representatives, usually serving part-time. Their powers are devolved to them by the State or Territory in which they are located, with this act, Australian law was made unequivocally sovereign, and the High Court of Australia was confirmed as the highest court of appeal. Health care in Australia is provided by both private and government institutions. Medicare, administered by the government, is the publicly funded universal health care system in Australia which was instituted in 1984. It coexists with a health system. Medicare is funded partly by a 2% Medicare levy, with the balance being provided by government from general revenue, an additional levy of 1% is imposed on high-income earners without private health insurance. As well as Medicare, there is a separate Pharmaceutical Benefits Scheme funded by the government which considerably subsidises a range of prescription medications. The funding model for health care in Australia has seen political polarisation, in 2005/2006 Australia had 1 doctor per 322 people and 1 hospital bed per 244 people. At the 2011 Australian Census 70,200 medical practitioners and 257,200 nurses were recorded as currently working, in a sample of 13 developed countries Australia was eighth in its population weighted usage of medication in 14 classes in 2009 and in 2013. The study noted considerable difficulties in cross border comparison of medication use, Australias health expenditure to GDP ratio in 2011-2012, was slightly above average compared with other OCED countries. Australia has a health care structure, with the federal government paying a large part of the cost of health services. The amount paid by the government includes, patient health costs based on the Medicare benefits schedule. Typically, Medicare covers 75% of general practitioner, 85% of specialist, Government expenditure on healthcare is about 67% of the total, below the OECD average of 72%. Individuals can take out health insurance to cover out-of-pocket costs, with either a plan that covers just selected services. In practice, a person with private insurance may still be left with out-of-pocket payments, the government encourages individuals with income above a set level to privately insure. This is done by charging these individuals a surcharge of 1% to 1. 5% of income if they do not take out health insurance. A machinist is a person who uses machine tools to make or modify parts, primarily metal parts. This process of machining is accomplished by using tools to cut away excess material much as a woodcarver cuts away excess wood to produce his work. In addition to metal, the parts may be made of other kinds of materials. The goal of these operations is to produce a part that conforms to a set of specifications, or tolerances. Within the title machinist are other specialty titles that refer to skills that may be more highly developed to meet the needs of a particular job position. Some examples of these specialty titles are fitter, turning hand, mill hand, and grinder. Also, there are titles that are related but actually are a development of machinist skills such as tool and die maker, tool maker, trim die maker, die sinker, patternmaker. These latter titles are more commonly found in specialized areas of industry. A fitter and turner refers to a person who manufactures mechanical parts, a machinist is usually called upon when a part needs to be produced from a material by cutting. Such a part may be unique or may be needed in the thousands and this could include a machinery part for a production line or anything that can be made from metal or plastic. Producing a part will often require several steps and more than one machine tool, each machine tool plays a specific role in cutting away excess material. When large numbers of parts are needed, production planning is required to plan the most logical workflow through a series of machines. Computer numerical controlled machines are a special tool that can machine a large variety of shapes. CNC machines are becoming the standard due to their speed, flexibility, production runs consisting of large numbers of parts are more cost effective and commonly referred to as production work in the trade. Conversely, small production runs are sometimes referred to as prototype or jobbing work, production engineers use blueprints and engineering drawings to produce detailed specifications of the part, especially its geometry, decide on a strategy to make it. 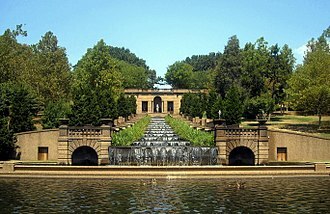 The Australian Capital Territory is the federal district in the south east of Australia, enclaved within New South Wales. Its only city is Canberra, the city of Australia. The ACT has a strip of territory around the southern end of the Beecroft Peninsula. 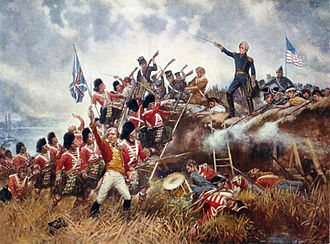 The need for a territory was flagged by colonial delegates during the Federation conventions of the late 19th century. Section 125 of the Australian Constitution provided that, following Federation in 1901, the territory was transferred to the Commonwealth by the state of New South Wales in 1911, two years prior to the naming of Canberra as the national capital in 1913. The floral emblem of the ACT is the royal bluebell and the emblem is the gang-gang cockatoo. The economic activity of the Australian Capital Territory is heavily concentrated around Canberra and this trend continued into 2016, when the territory was ranked the third best performing out of all of Australias states and territories. There is a proportion of young adults in the region compared with other Australian states or territories. Approximately one-fifth of ACT residents were born outside of Australia, mainly in the United Kingdom, almost one-fifth speak a language other than English at home, the most common being Chinese. The ACT has a strip of territory around the southern end of the Beecroft Peninsula. 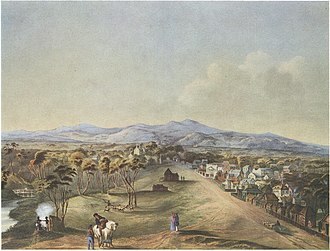 Apart from the city of Canberra, the Australian Capital Territory contains agricultural land, small townships and communities located within the ACT include Williamsdale, Uriarra and Hall. There are a range of mountains and creeks in the Namadgi National Park. These include the Naas and Murrumbidgee Rivers, Canberra is noted for its warm to hot, dry summers, and cold winters with occasional fog and frequent frosts. Many of the mountains in the territorys south-west are snow-covered for at least part of the winter. Thunderstorms can occur between October and March, and annual rainfall is 623 mm, with rainfall highest in spring and summer, the highest maximum temperature recorded in the ACT was 42.8 °C at Acton on 11 January 1939. Charles Nelson Perkins, AO, commonly known as Charlie Perkins, was an Australian Aboriginal activist, soccer player and administrator. Charles Perkins was born in Alice Springs, originally from nearby Arltunga, to Hetti Perkins and Martin Connelly, originally from Mount Isa and his mother was born to a white father and an Arrernte mother, while his father was born to an Irish father and a Kalkadoon mother. Perkins had one full sibling and nine other half-siblings by his mother, between 1952 and 1957, Perkins worked as an apprentice fitter and turner for the British Tube Mills company in Adelaide. He married Eileen Munchenberg on 23 September 1961 and had two daughters, and a son and he was the first Aboriginal man in Australia to graduate from university. While at university he worked part-time for the City of South Sydney cleaning toilets, in 1965 he was one of the key members of the Freedom Ride – a bus tour through New South Wales by activists protesting discrimination against Aboriginal people in small towns in NSW, Australia. This action was inspired by the US Civil Rights Freedom Ride campaign in 1961, the Australian Freedom Ride aimed to expose discrepancies in living and health conditions among the Aboriginal population. The tour targeted rural towns such as Walgett and they acted to publicise acts of blatant discrimination. This was demonstrated through one of the Freedom Ride activities in Walgett, a local RSL club refused entry to Aborigines, including those who were ex-servicemen who participated in the two World Wars. At one stage during the Rides, the bus was run off the road. 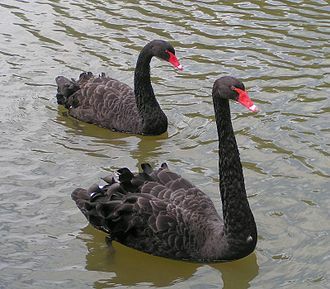 On 20 February 1965, Perkins and his party tried to enter the pool at Moree. In response to action the riders faced physical opposition from several hundred local white Australians, including community leaders. These events were broadcast across Australia, and under pressure from public opinion, the Freedom Riders protested again forcing the council to again remove the ban. Even so,5 year old Nancy Prasad was taken to the airport again, in the lead up to the referendum Perkins was manager of the Foundation for Aboriginal Affairs, an organization that took a key role in advocating a Yes vote. Civil and political rights are a class of rights that protect individuals freedom from infringement by governments, social organizations, and private individuals. They ensure ones ability to participate in the civil and political life of the society and political rights form the original and main part of international human rights. They comprise the first portion of the 1948 Universal Declaration of Human Rights, the phrase civil rights is a translation of Latin ius civis. Roman citizens could be either free or servile, but they all had rights in law. After the Edict of Milan in 313, these included the freedom of religion. Roman legal doctrine was lost during the Middle Ages, but claims of rights could still be made based on religious doctrine. 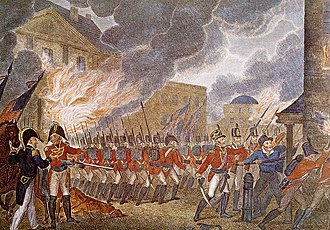 According to the leaders of Ketts Rebellion, all men may be made free. In the 17th century, English common law judge Sir Edward Coke revived the idea of rights based on citizenship by arguing that Englishmen had historically enjoyed such rights, the Parliament of England adopted the English Bill of Rights in 1689. The Virginia Declaration of Rights, by George Mason and James Madison, was adopted in 1776, the Virginia declaration is the direct ancestor and model for the U. S. Bill of Rights. The removal by legislation of a civil right constitutes a civil disability, in early 19th century Britain, the phrase civil rights most commonly referred to the issue of such legal discrimination against Catholics. In the House of Commons support for civil rights was divided, the Roman Catholic Relief Act 1829 restored their civil rights. In the 1860s, Americans adapted this usage to newly freed blacks, congress enacted civil rights acts in 1866,1871,1875,1957,1960,1964,1968, and 1991. Marshall notes that civil rights were among the first to be recognized and codified, followed by political rights, in many countries, they are constitutional rights and are included in a bill of rights or similar document. They are defined in human rights instruments, such as the 1948 Universal Declaration of Human Rights. Civil and political rights need not be codified to be protected, although most democracies worldwide do have formal written guarantees of civil, Civil rights are considered to be natural rights. The Royal Prince Alfred Hospital is a major public teaching hospital in Sydney, located on Missenden Road in Camperdown. RPAH is the largest hospital in the Sydney Local Health District, following a $350 million redevelopment, the perinatal hospital King George V Memorial Hospital has been incorporated into it. An Australian television documentary, RPA, is filmed there and depicts the workings of a major metropolitan hospital. Royal Prince Alfred is one of the oldest hospitals in NSW, the funds were raised by public subscription. This was in an effort to make a monument to commemorate the assassination attempt on Prince Alfred, thomas Holt was founder and director of the hospital from 1873-1883. It was only two years after its opening in 1882 that the hospital accepted its first medical students from the Medical School of the University of Sydney, since then, the hospital has benefited from this close relationship at the teaching and clinical levels. For example, it is the public hospital in Australia to offer a comprehensive revision course for the RACP written exam for basic physician trainees. With around 50 percent of all admissions being district services, RPA treats more patients than any other hospital in the state. Within RPA itself, four clinical sections provide specialty clinical services, Division of Medicine, Division of Surgery, Division of Obstetrics & Gynaecology, RPA has undertaken an extensive program of refurbishment and construction. Public spaces including gardens for patients have been renovated, views of the city, hospital gardens, New facilities include the Hot floor, a purpose-built nucleus of critical care services designed to improve patient care and clinical outcomes. It brings together operating theatres, intensive care, high dependency units, cardiac care, neuro intensive care, day-stay centre. Sydney Cancer Centre - The only ambulatory care centre of its type in Australia, combining diagnostic, consultative and gynaecological services - A birthing unit with nine delivery rooms, three home-like birthing rooms and 32 neonatal cots. Day-surgery centre -38 bed centre containing separate admissions station, operating theatres, Sydney South West Pathology Service - Eastern Zone - Laboratory services in diganostic pathology including the NSW porphyrin reference unit. The Southern states had ignored the rulings and the federal government did nothing to enforce them. 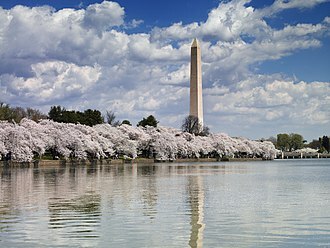 The first Freedom Ride left Washington, D. C. on May 4,1961, Boynton outlawed racial segregation in the restaurants and waiting rooms in terminals serving buses that crossed state lines. The ICC failed to enforce its ruling, and Jim Crow travel laws remained in force throughout the South, the Freedom Riders challenged this status quo by riding interstate buses in the South in mixed racial groups to challenge local laws or customs that enforced segregation in seating. The Freedom Rides, and the violent reactions they provoked, bolstered the credibility of the American Civil Rights Movement and they called national attention to the disregard for the federal law and the local violence used to enforce segregation in the southern United States. The Congress of Racial Equality sponsored most of the subsequent Freedom Rides, the Supreme Courts decision in Boynton supported the right of interstate travelers to disregard local segregation ordinances. Southern local and state police considered the actions of the Freedom Riders to be criminal, in some localities, such as Birmingham, the police cooperated with Ku Klux Klan chapters and other white people opposing the actions and allowed mobs to attack the riders. Like the Freedom Rides of 1961, the Journey of Reconciliation was intended to test an earlier Supreme Court ruling that banned discrimination in interstate travel. The first Freedom Ride began on May 4,1961, led by CORE Director James Farmer,13 riders left Washington, DC, on Greyhound and Trailways buses. Their plan was to ride through Virginia, the Carolinas, Georgia and Mississippi, ending in New Orleans, most of the Riders were from CORE, and two were from SNCC. Many were in their 40s and 50s, some were as young as 18. The rest of the team would sit scattered throughout the rest of the bus, one rider would abide by the Souths segregation rules in order to avoid arrest and to contact CORE and arrange bail for those who were arrested. Only minor trouble was encountered in Virginia and North Carolina, but John Lewis was attacked in Rock Hill, some of the Riders were arrested in Charlotte, North Carolina, South Carolina, and Jackson, Mississippi. The Birmingham, Police Commissioner, Bull Connor, together with Police Sergeant Tom Cook, the pair made plans to bring the Ride to an end in Alabama. They assured Gary Thomas Rowe, an FBI informer and member of Eastview Klavern #13, the plan was to allow an initial assault in Anniston with a final assault taking place in Birmingham. On May 14, Mothers Day, in Anniston, a mob of Klansmen, some still in church attire, the driver tried to leave the station, but was blocked until KKK members slashed its tires. The mob forced the bus to stop several miles outside of town. As the bus burned, the mob held the doors shut, sources disagree, but either an exploding fuel tank or an undercover state investigator brandishing a revolver caused the mob to retreat, and the riders escaped the bus. 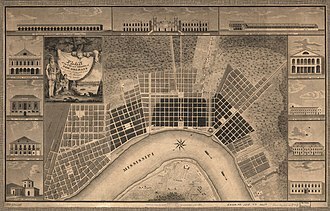 The South Sydney City Council was a former local government area covering the inner-eastern and inner-southern suburbs of Sydney, Australia. It was forcibly merged with the Sydney City Council by the New South Wales State Government in 2004, the council chambers were located in the Erskineville Town Hall, with the administrative offices at Joynton Avenue in Zetland. The administrative offices were relocated to the TNT tower building in Redfern in 2001, the forerunner of the City of South Sydney was the Northcott Municipal Council, which was created on 1 January 1968 when the City of Sydney boundaries were changed. Newtown, Erskineville, Alexandria and Redfern were combined to form the new council. The council was renamed the South Sydney Municipal Council on 1 December 1968, in 2002, parts of the City of South Sydney and Leichhardt were proposed to be merged with the City of Sydney. 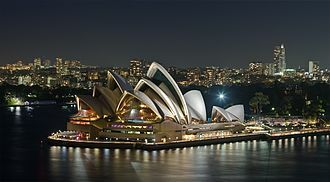 In 2003, Potts Point, Elizabeth Bay, Kings Cross, Chippendale, Ultimo, as the financial viability of the residual City of South Sydney was under threat, the City of Sydney and the City of South Sydney were combined by proclamation on 6 February 2004. A medpunkt (health care access point) delivers primary health care to the residents of the village of Veliki Vrag in Nizhny Novgorod Oblast, Russia. The entrance to a surgery clinic in Greenwich, London. Polyclinic in Karl-Marx-Stadt, German Democratic Republic. Polyclinic in Písek, Czech Republic. In A Peep at Christies (1799), James Gillray caricatured actress Elizabeth Farren and huntsman Lord Derby examining paintings appropriate to their tastes and heights. 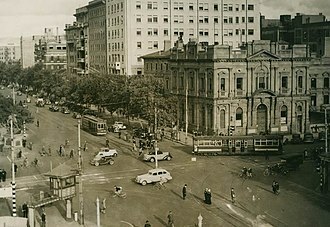 Intersection of North Terrace and King William Street viewed from Parliament House, 1938. George Raymond Jr. was a CORE activist arrested in the Trailways bus terminal in Jackson, Mississippi on August 14, 1961. John Forrest was the first Premier of Western Australia. Courtroom 1 in the High Court in Canberra. Civic viewed from Mount Ainslie with Lake Burley Griffin and Mount Stromlo in the background. 1929 picture of the Sydney Building looking across Northbourne Avenue from the Melbourne Building. City Walk, a pedestrian mall in Civic is a focus of retail activity and outdoor dining. The Molonglo River, located in the north-east of the region. Canberra, located in the northern end of the territory, is an entirely planned city. 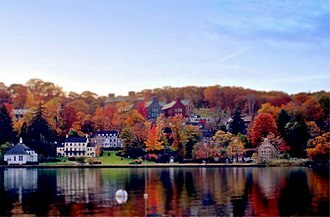 Cold Spring Harbor Laboratory on Long Island, home to eight scientists awarded the Nobel Prize in Physiology or Medicine, is an internationally renowned basic medical research institution. Artist Albert Namatjira was a Western Aranda man. Charles Perkins, approx 1965, first Aboriginal Australian to graduate from the University of Sydney. Logo of the City of South Sydney.